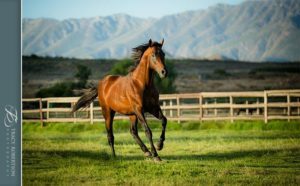 Highlands Stud part of Ridgemont’s outstanding sire Dynasty was represented by his 59th stakes winner when his son Made To Conquer captured the G3 Lonsdale Stirrup Cup at Greyville on Saturday. Bred by Michael De Broglio, the 4yo Made To Conquer, winning the first feature race of his career, justified 18-10 favouritism when scoring a short neck victory for trainer Justin Snaith and jockey Richard Fourie in Saturday’s R300 000 feature. Inbred to Sadler’s Wells, the gelded Made To Copy has now won six of just ten outings and is likely to be supplemented into the 2018 Vodacom Durban July. 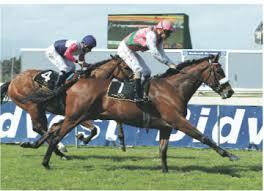 His sire Dynasty is also sire of Equus Champion, and G1 Thekwini Stakes winner, Lady In Black, who caught the eye when a close third, beaten under a length, behind Sun Met winner Oh Susanna in Saturday’s G1 Woolavington 2000. Made To Conquer was one of three winners on the weekend for four times Equus Outstanding Stallion Dynasty. Other winners for the July winning champion include Arabian Dynasty, who made it three wins on the bounce when victorious over 1800m on Friday, and Mauritius winner Glorious Goodwood. Dynasty, whose triple G1 winning son Jackson ranks among this season’s leading first crop sires, has been enjoying his customary excellent season. Not only have Dynasty sired yearlings made up to R5 200 000 this year, but his progeny have won 17 South African feature races in 2017-2018. Sire of leading July fancy African Night Sky, Dynasty’s other notable performers this season include Investec Cape Derby winner Eyes Wide Open, Summer Cup winner Liege, unbeaten Flamboyant Stakes winner Hashtagyolo, East Cape Derby star American Landing, Gold Bowl hero Let It Rain and G2 winner Sabina’s Dynasty. The champion has a single lot on offer at the 2018 KZN Yearling Sale –a colt (Lot 260) who is a ¾ brother to G2 performer Pacific Dynasty.